Directly or indirectly fix purchase or selling prices or any other trading conditions. Limit or control production, markets, technological development or investment. Share markets or sources of supply. Apply dissimilar conditions to equivalent transactions with other trading parties, thereby placing them at a competitive disadvantage. Make the conclusion of contracts subject to acceptance by the other parties of supplementary obligations that have no connection with the subject-matter of such contracts. Prohibited agreements or decisions, as described above, are null and void, except when they are exempted under Article 10 of the Competition Act, which corresponds, in essence, to Article 101(3) of the TFEU. The PCA 'may define priorities in the handling of issues that it is called on to analyse'9 (sometimes interpreted as the 'principle of opportunity'). Although the Portuguese Constitution requires the administration to uphold the law, a strict reading of the 'principle of legality', whereby the PCA would be obliged to investigate any breach of competition law, is not foreseen in the Competition Act, which provides that the PCA is able to exercise some discretion in its sanctioning powers, case by case, whenever the public interest of pursuing and punishing infringements of competition rules determines the commencement of antitrust proceedings. For that purpose, inspired by the Automec case,10 the Competition Act provides that the PCA should take into account, in particular, the priorities in competition policy and the elements brought by the parties involved, as well as the seriousness of the alleged infringement, the likelihood of being able to prove its existence, and the extent of investigation that is required to achieve as far as is possible its mission to ensure compliance with the national and EU provisions that prohibit anticompetitive practices. Detect and investigate anticompetitive practices, namely cartels. Increase ex officio detection of anti-competitive practices by way of, namely, cooperation agreements. Deepen understanding of the use, by companies, of algorithms or artificial intelligence in facilitating anti-competitive behaviour. Raise awareness of the Fighting Bid-Rigging in Public Procurement campaign as well as the Guide for Business Associations. Consolidate internal checks and balances. Note also that the PCA has declared that it will continue to reinforce its activity in detecting and pursuing anticompetitive practices, such as cartels. In 2017, the PCA undertook unannounced searches (i.e., dawn raids) at 35 sites in Portugal involving 44 entities – eight times as many as in the previous year. This intense activity led to the opening of 16 antitrust procedures in five sectors (driving instruction, tourist river cruises, retail distribution, insurance and railway maintenance services),12 which is similar to the scale of activity seen during the past 10 years. There follows a brief summary of the most relevant cases in 2018. The PCA issued a statement of objections against five insurance companies and 14 directors and managers for a price-fixing and market-sharing cartel.13 The PCA's press release discloses that, allegedly, 'the agreement lasted approximately seven years and had an impact in the cost of insurance acquired by large companies in the sub-sectors of occupational accidents, health and motor vehicles. Companies involved have a combined market share of circa 50% in each sub-sector'.14 The accusation in 2018 was the result of a leniency application that led to dawn raids in June and July 2017 at the companies' premises, in the Lisbon region. The PCA imposed fines totalling €12 million on the insurance companies Fidelidade – Companhia de Seguros and Multicare – Seguros de Saúde under the settlement procedure.15 The antitrust investigation is continuing against the three remaining companies, and against nine of the 14 managers and directors of the companies. Pursuant to the decentralisation enacted by Council Regulation (EC) 1/2003,29 national competition authorities (including the PCA) and the European Commission have parallel competences in enforcing Articles 101 and 102 of the TFEU in close cooperation, within the framework of the European Competition Network (ECN).30 Portuguese courts also apply, simultaneously, Article 101 of the TFEU and the equivalent national rules within the Competition Act relating to anticompetitive practices. Within the ECN, the PCA exchanges information with the other national competition authorities (NCAs) on existing and continuing cases. Notwithstanding, any evidence used pursuant the Competition Act needs to be obtained in accordance with the rules under Portuguese law. 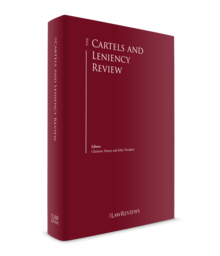 Since cartels are considered administrative offences, rather than criminal, there are no legal grounds to substantiate a request to a foreign country to extradite someone to Portugal for antitrust infringements. The EU Directive designed to empower the competition authorities in Member States to be more effective enforcers (known as the ECN+ Directive) is expected to represent a key development in several fields, such as cooperation between NCAs.33 Until now, despite the existence of Regulation 1/2003, these areas have been mainly handled through soft law instruments, such as the Commission Notice on Cooperation within the Network of Competition Authorities. The Competition Act is applicable to all economic activities, be it in the private, public or cooperative sectors. It applies to cartel practices that occur in Portuguese territory or whenever these practices have or may have an effect in Portuguese territory.35 Even if the anticompetitive practice occurs in a foreign country, it will be punished in accordance with the Competition Act if its effects are verified in Portuguese territory. For instance, since it is not necessary to have a physical presence in Portugal, a company that distributes products in Portugal can potentially be investigated by the PCA. Prohibited practices may be exempted under Article 10 of the Competition Act or Article 101(3) of the TFEU, or both. Since there are no industry-specific defences, these general rules apply. Under the decentralised regimen, the onus is on companies hoping to benefit from the exemption to self-assess their conduct and to come forward with evidence that demonstrates the fulfilment of all cumulative requirements. In an abuse of dominance case, it was decided by the Lisbon Appeal Court that a parent company is not liable for competition law violations committed by a subsidiary, unless the parent company was itself engaged in the infringement.36 In our opinion, under Portuguese law, the same reasoning of cases of abuse of a dominant position could be applied, mutatis mutandis, to cartel infractions. However, the implications of the ECN+ Directive and its Article 13, Section 5, are yet to be determined, following the implementation period. Both undertakings and individuals39 may apply for leniency on fines imposed by the PCA. The natural persons to whom the leniency legislation applies include members of the board of directors or the supervisory board of legal persons and equivalent entities, as well as those responsible for the executive management or supervision of areas of activity where the cartel practice has occurred, the latter only since the Competition Act was enacted in 2012.
not forcing any other undertakings to participate in the cartel. Immunity is granted to those that are the first to provide sufficient evidence and information to allow the PCA to either (1) support a request before the judiciary for a dawn raid in those cases where the PCA was not aware of the violation, or (2) identify a violation where the PCA did not have enough evidence of it. If a company or individual does not fulfil all the conditions required to achieve immunity, it is nevertheless possible to benefit from fine reductions of up to 50 per cent, depending on whether the information provided to the PCA has significant added value as compared with the evidence already in the PCA's possession, and taking into consideration the time at which the company initiated its cooperation with the PCA. The PCA has adopted a Leniency Regulation to set up a marker system for immunity applicants. A marker may be granted either on the PCA's own initiative or in response to a immunity applicant's request. The minimum information required in Portugal to activate the marker system is in line with the ECN model. The marker protects the applicant in terms of priority in the queue in providing evidence to the PCA. To the best of our knowledge, there are five fining decisions that have been initiated by a leniency application. Catering cartel (2007): The investigation started with an individual leniency application submitted by a former director of one of the cartelists, who benefited from immunity from fines. Conversely, his former employer, the remaining cartel members and its directors were all convicted and fined a total of €14,720,283 (though this was later reduced by the Competition Court). Commercial Forms cartel (2012): Fines totalling €1,797,978 were imposed by the PCA on three of the four participating companies and their respective directors (later reduced substantially on appeal). Polyurethane Foam cartel (2013): Fines totalling €993,000 were imposed on two of the three companies involved and their respective directors. Pre-Fabricated Modules cartel (2015): Fines totalling €831,810 were imposed on four of the five companies who actively participated in the infringement. Reductions in the fines were granted as a result of the simultaneous application of both the leniency reductions and the settlement procedure. Office Consumables cartel (2016): A fine of €440,000 was imposed on one cartel participant who applied for leniency and settled; other cartelists were also fined. The Competition Act imposes upon the PCA a duty to treat as confidential both a leniency application and the related documents. Only co-defendants have access to the leniency application and to related information with the aim of preparing a reply to the statement of objections, but cannot obtain a copy of the referred documents. Access by third parties is almost impossible, as it needs the prior authorisation of the leniency applicant. The Portuguese law implementing the EU Private Enforcement Directive (namely Law 23/2018) determines that courts are not entitled to give access to leniency applications or settlement proposals.40 A special disclosure regime applies to court orders, allowing access to supporting documents and information provided with a leniency application. Fines cannot exceed 10 per cent of the turnover of the year immediately preceding the final decision issued by the PCA for each of the companies concerned (or, in the case of associations of undertakings, the aggregate turnover of the associated companies). The Competition Court holds full jurisdiction to review fining decisions issued by the PCA, including the power to increase the level of fines (reformatio in pejus). As a rule, an appeal does not suspend a company's requirement to pay the fine to the PCA. the assistance given to the PCA throughout the proceedings. In addition to the penalties already discussed, the PCA may impose ancillary sanctions: (1) publication in the Official Gazette and in a national newspaper of a summary of the court's decision, or (2) a ban on participating in procurement proceedings if the violation happened in the context of a public tender (see Section VIII for more information), or both. The PCA may also impose behavioural or structural commitments to end the illegal conduct or its related effects. Furthermore, the PCA may apply a periodic penalty for payments of up to 5 per cent of the average daily turnover of the company for each day of delay in cases of non-compliance with a court decision. Anticompetitive agreements are null and void and injured parties may seek compensation in national courts (see Section VII for further discussion on this). It is possible to cumulate fine reductions under the leniency programme and the settlement procedure, but as regards the latter, the Competition Act does not specify the amount by which the applicable fine will be reduced. The settlement procedure enables the issuing of a swift and less detailed decision because the confessed facts cannot be discussed in any potential appeal against the PCA's decision. The settlement mechanism was used in the Office Consumables cartel (2016), in the Pre-Fabricated Modules cartel (2015) and in the Polyurethane Foam cartel (2013). The PCA enjoys wide-ranging investigative powers, such as carrying out dawn raids both at the involved companies' premises and at private homes,46 hearings held for both companies and individuals, requests for information, searches and seizures of documents at lawyers' and doctors' offices, sealing premises for as long as is necessary to carry out an inspection, among others. However, cartel enforcement is not a criminal matter and the monitoring of telephone and internet conversations by covert means (i.e., wiretapping) is not allowed. to appeal against interlocutory and final decisions imposed by the PCA. Considering the broad investigative powers of the PCA, it is prudent that companies and individuals seek specialised legal advice at an early stage of an investigation, in particular if a dawn raid is being undertaken by the PCA. For instance, a warrant from the competent judicial authority is required before a search can be carried out; it is still debatable whether the PCA may conduct dawn raids without conferring on the undertakings the legal standing of defendants (visados), and it is controversial whether the Competition Act allows for the seizing of emails (a possibility foreseen in the draft Competition Act but excluded from its final wording). Searches at private premises or at lawyers' and doctors' offices have stricter requirements, since documents covered by professional secrecy are protected. It is advisable, inter alia, that (1) each of the PCA's officials is accompanied by both a lawyer and an employee of the company being searched, (2) employees are trained not to obstruct an inspection, (3) a record of documents copied or seized by the inspectors is kept, (4) any leaks to the press regarding the inspection are prevented, to preserve the company's reputation. Finally, an adequate and timely strategy is necessary to consider the appropriateness of making a leniency application, and to mitigate the risks of being fined or being sued in court for damages, both in Portugal and in other jurisdictions. Although private enforcement cases are already a reality in Portugal, it is our opinion that they will gain momentum with the Law on Private Enforcement, which implemented the relevant EU Directive.49 In addition to this new Law, the legal framework in Portugal includes the substantive rules contained in the Competition Act, the general rules on civil liability provided for in the Civil Code (Article 483 et seq. regarding liability for illicit acts and Article 562 on the calculation of awards of damages) and the procedural rules of the Code of Civil Procedure. Actions for damages can be brought either following the finding of an infringement by a public authority (i.e., a follow-on action) or by filing a civil claim independent of any public enforcement (i.e., a stand-alone action). In the case of follow-on actions, the competition law infringement on which the claim is based would have been previously declared by a competition authority (the PCA or any other), a court (national or in any other EU Member State) or by the Commission. It is expected that the binding evidentiary value on final decisions issued by any of the said public authorities or courts will contribute to an increase in follow-on damage actions, because there will be a non-rebuttable presumption regarding the existence, nature, duration and material, personal and territorial scope of the antitrust violation. This statement holds true in particular as regards follow-on actions as a result of the intense antitrust activity of the PCA in recent times. for non-contractual liability, the limitation period is five years, counting from the end of the infringement. The most relevant developments are the transposition of the Private Enforcement Directive into national law (for further discussion, see Section VII) and the PCA's priorities in the field of public procurement. Following the entry into force of the new Portuguese Code of Public Contracts in 2018,53 the PCA now has direct and full access to all the information available on the public procurement portal (the BASE portal) and the Public Works Observatory. Public procurement procedures are processed on electronic platforms at every stage of the formation of a contract. The access granted to the PCA will, without doubt, simplify the finding of bid rigging in public procurement on an ex officio basis and increase the investigation of such practices. The PCA and the Institute for Public Procurement, Real Estate and Construction (IMPIC) signed a memorandum of understanding (MOU) whereby the analysis of the national public procurement database by the PCA will focus on the enforcement of the competition rules and complement examinations carried out by IMPIC in the context of its duties of monitoring and controlling public procurement.54 The data will be analysed using quantitative statistical and econometric methods, in particular through the application of screens with the aim of detecting behavioural patterns that signal collusion in public tenders. All public entities have the duty to inform the PCA of facts they become aware of that might be construed as anticompetitive practices.57 This effective competition advocacy directed at public authorities, combined with the access to the electronic platform that governs public procurement contracts, may well contribute to a more vigorous enforcement of competition law in the near future. For example, the investigation of cartel practices in the railway maintenance services sector (see Section I.iii for a summary of the case) was initiated following a complaint submitted within the context of the Fighting Bid Rigging campaign launched by the PCA.58 In 2018, five cases were investigated pursuant to complaints launched by public entities, which represents an increase of 50 per cent in the number of complaints of this type.59 The PCA's activity within the public sector is summarised in the following table. The PCA is developing a strong advocacy activity. Besides the aforementioned Fighting Bid Rigging campaign, there is another current campaign (entitled FairPlay Roadshow – with competition everybody wins), which is using engaging videos in which the basic competition rules are explained to the ordinary citizen. In parallel with the leniency programme, an online complaints portal and a dedicated telephone line have been created to enable anyone to anonymously report anticompetitive practices.65 Moreover, regular conferences for business associations and seminars for sector regulators are held by PCA officials. The PCA has developed into a young adult having reached its 15th anniversary in 2018. The competition policy challenge is now the consolidation of its recent enforcement activity and the embracing of new challenges in disruptive sectors. 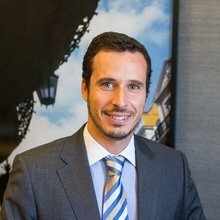 1 Alberto Saavedra is a senior associate at the law firm Sérvulo & Associados. The author would like to thank Miguel Gorjão-Henriques and Guilherme Oliveira e Costa for their assistance in preparing this chapter. 2 See, respectively, Article 9 of the Competition Act and Article 101 (1) of the Treating on the Functioning of the European Union [TFEU]. As regards Article 101(1) of the TFEU, this legal provision is applied by the Portuguese Competition Authority [PCA] to agreements between two or more independent market operators that restrict competition, as long as they affect, or may affect, trade between European Union (EU) countries. Our analysis does not focus on a substantive examination of the EU rules; however, as a general rule, the national provisions apply mutatis mutandis to cases that have an EU dimension. 3 e.g., Directive (EU) 2019/1 of the European Parliament and of the Council of 11 December 2018 to empower the competition authorities of the Member States to be more effective enforcers and to ensure the proper functioning of the internal market, Official Journal L11 of 14 January 2019, pp. 3 to 33. 4 See also framework law of the independent regulatory authorities, Law 67/2013, of 28 August. 5 Adopted on 22 March 2013. No English version is available. The Portuguese version is available at www.concorrencia.pt/vPT/Noticias_Eventos/Noticias/Documents/LO_Instrucao_Processos_2013.pdf. See also Article 25(7) of the Competition Act. 6 Adopted on 17 January 2013. No English version is available. The Portuguese version is available at www.concorrencia.pt/vPT/Noticias_Eventos/Comunicados/Documents/Linhas_de_Orientacao_Act_Sacionatoria.pdf. See also Article 7(3) of the Competition Act. 7 Adopted on 3 January 2013. The English version is available at www.concorrencia.pt/vEN/Praticas_Proibidas/Leniency_Programme/Documents/Notice%20on%20Regulation1-2013-PCA_EN.pdf. See also Articles 80 and 66 of the Competition Act. 8 Adopted on 20 December 2012. No English version is available. The Portuguese version is available at www.concorrencia.pt/vPT/Noticias_Eventos/Comunicados/Documents/Linhas_de_Orienta%C3%A7%C3%A3o_Coimas_DEZ2012.pdf. See also Article 69 (8) of the Competition Act. 9 Article 7(1) of the Competition Act. 10 See Article 7(2) of the Competition Act and judgment of the Court of First Instance of 18 September 1992, Automec/Commission, T-24/90, ECR 1992, p. II-2223, EU:T:1992:97, Sections 71 to 86. 11 Competition Policy Priorities for 2019, published in 21 December 2018. Available in English at www.concorrencia.pt/vEN/News_Events/Noticias/Documents/AdC%20Competition%20Policy%20Priorities%20for%202019.pdf. 12 PCA's Activity Report, 2017, available (in Portuguese only) at www.concorrencia.pt/vPT/A_AdC/Instrumentos_de_gestao/Relatorio-de-Actividades/Documents/Adc_Relatorio_actividades2017.pdf. 13 Press Release 11/2018, of 21 August 2018, available at www.concorrencia.pt/vEN/News_Events/Comunicados/Pages/PressRelease_201811.aspx?lst=1&Cat=2018. 15 Press release ۲۲/۲۰۱۸, of ۲۸ December ۲۰۱۸, available at www.concorrencia.pt/vEN/News_Events/Comunicados/Pages/PressRelease_۲۰۱۸۲۲.aspx. 16 Press release 13/2018, of 14 September of 2018, available at www.concorrencia.pt/vEN/News_Events/Comunicados/Pages/PressRelease_201813.aspx. 17 Press release 20/2018, of 21 December 2018, available at: www.concorrencia.pt/vEN/News_Events/Comunicados/Pages/PressRelease_201820.aspx. 18 Press release 10/2018, of 10 August 2018, available at: www.concorrencia.pt/vEN/News_Events/Comunicados/Pages/PressRelease_201810.aspx?lst=1&Cat=2018. 21 PCA's Activity Report, 2017, cit. and PCA's Plan of Activities for 2018 presented in Parliament on 18 April 2018, available (in Portuguese only) at www.concorrencia.pt/vPT/Documents/Apresentação%20à%20COFMA%2018.04.2018.pdf. 22 Judgments of the Competition Court in Cases Nos. 243/18.0YUSTR, 244/18.9YUSTR and 228/18.7YUSTR-A, both of 9 November 2018. 23 Press release 19/2018, of 21 December 2018, available at www.concorrencia.pt/vEN/News_Events/Comunicados/Pages/PressRelease_201819.aspx. 24 More than 400 participants attended nine sessions, aimed at associations of undertakings, for a presentation of the Guidelines for Business Associations in 2017–2018. See PCA's Plan of Activities for 2018 presented in Parliament on 18 April 2018, cit., p. 21. 25 Press release 14/2017, of 28 September 2017, available at www.concorrencia.pt/vPT/Noticias_Eventos/Comunicados/Paginas/Comunicado_AdC_201714.aspx?lst=1&Cat=2017. 26 Press release 16/2018, of 8 October 2018, available at www.concorrencia.pt/vEN/News_Events/Comunicados/Pages/PressRelease_201816.aspx. 27 Press release 17/2018, of 10 October 2018, available at www.concorrencia.pt/vEN/News_Events/Comunicados/Pages/PressRelease_201817.aspx. 29 Council Regulation (EC) 1/2003 of 16 December 2002 on implementation of the rules on competition laid down in Articles 81 and 82 of the Treaty [Articles 101 and 102 of the TFEU], Official Journal 2003 L1 of 4 January 2003, p. 1. 30 The main rules on the functioning of the European Competition Network are set out in the following documents: Commission Notice on cooperation within the Network of Competition Authorities (2004/C 101/03, Official Journal C101 of 27 April 2004, pp. 43 to 53) and Joint Statement of the Council and the Commission on the Functioning of the Network of Competition Authorities, of 10 December 2002. 31 The PCA hosted the International Competition Network Annual Conference in Portugal (Oporto) in 2017. 32 For instance, if the effects on competition are verified in more than three Member States (including Portugal), the Commission is particularly well placed to investigate and punish such practices. See 'Commission Notice on cooperation within the Network of Competition Authorities', cit., Section 14. 33 'Directive of the European Parliament and of the Council to empower the competition authorities of the Member States', cit. 34 Directive 2014/104/EU of the European Parliament and of the Council of 26 November 2014 on certain rules governing actions for damages under national law for infringements of the competition law provisions of the Member States and of the European Union, Official Journal L349 of 5 December 2014, pp. 1 to 19. 35 Article 2(2) of the Competition Act. 36 Judgment of the Lisbon Appeal Court in Case No. 36/16.0YUSTR.L1, of 14 June 2017. 37 Article 75 of the Competition Act. 38 See 'Notice on immunity from fines and reduction of fines in cartel cases', available at www.concorrencia.pt/vEN/Praticas_Proibidas/Leniency_Programme/Documents/Notice%20on%20Regulation1-2013-PCA_EN.pdf, and www.concorrencia.pt/vPT/Noticias_Eventos/Comunicados/Documents/DR_NOTA%20INFORMATIVA_CLEMENCIA_PosPublReguDR_03_01-2013.pdf. 39 Individuals may apply for leniency individually or on behalf of the company. 40 Law 23/2018, of 5 June, which implements Directive 2014/104/EU, of 26 November 2014, on certain rules governing actions for damages under national law for infringements of the competition law provisions of the Member States and of the European Union, Official Journal L349/1 of 5 December 2014. 41 Judgment of the Constitutional Court No. 400/2016, of 21 June 2016. 43 See speech by Maria João Melícias, a member of the board of the PCA: 'What's hot under the Iberian sun', at the Women@Competition Iberia' launch event held by the CNMC in Madrid, 27 September 2018, available at www.concorrencia.pt/vPT/Noticias_Eventos/Intervencoes_publicas/Documents/What%27s%20hot%20under%20the%20Iberian%20sun.pdf. 44 Marta Campos, 'Competition Law and the Competition, Regulation and Supervision Court', in Revista de Concorrência e Regulação, September 2018, No. 35, page 105. At the time of writing, the final figures for 2018 were not yet available. 45 id., at page 108. The statistics apply to the period from March 2012 to January 2018. 46 The searches of private premises must be previously authorised by an examining judge. They may include the homes of company shareholders, directors and employees, and other locations, such as vehicles. 47 See, for example: NOS v. PT, a damages action in the telecommunications sector for an abuse of a dominant position in the wholesale and retail broadband access markets, which consisted in a margin squeeze and a discriminatory rebate policy; the SportTV case, in which the premium pay-TV sports channel allegedly imposed discriminatory conditions on operators; Taboada&Barros v. Apple, the alleged abuse of a dominant position by Apple for excluding its distributor Taboada&Barros from the market; IMS v. ANF, an arbitral decision was confirmed by the Lisbon Court of Appeals, which upheld an abuse of a dominant position in the health sector. 48 Violation of the competition rules implies the declaration of nullity of any agreement (Articles 280 and 294 of the Civil Code and Article 9(2) of the Competition Act). 49 Law 23/2018, of 5 June, implemented the EU Directive on private enforcement. 50 Law 83/95, of 31 August, as amended (Lei de Acção Popular), which allows the commencement of collective actions against the offenders. 51 Moreover, a final decision by the competition authorities or courts of other Member States constitutes a rebuttable proof for the same purposes, which represents a step further in relation to the minimal requirements of the Directive (which only requires prima facie evidence). 53 Decree Law ۱۸/۲۰۰۸, of ۲۹ January. 54 Joint Press Release PCA/IMPIC, of 15 November 2017. 55 PCA's Plan of Activities for 2018 presented in Parliament on 18 April 2018, cit., page 17. 56 For example, a memorandum of understanding was signed between the PCA and the National Authority of Medicines and Health Products (Infarmed) – Joint press release PCA/Infarmed, of 21 September 2018. 57 Article 17(3), Competition Act. 58 Press release 13/2018, of 14 September of 2018, available at www.concorrencia.pt/vEN/News_Events/Comunicados/Pages/PressRelease_201813.aspx. 59 PCA's Plan of Activities for 2018 presented in Parliament on 18 April 2018, cit., pp. 18 and 19. 60 id., at page 20. 61 Article 71(1)(b), Competition Act. 62 Article 71(2), Competition Act. 63 Article 70(2)(g), Public Procurement Act. 64 Judgment of the Supreme Administrative Court of 1 March 2016 (Case No. 0202/16). We strongly disagree with this judgment, because agreements within the same economic unit cannot amount to an agreement or concerted practice between undertakings within the meaning of the Competition Act. Therefore, there was no violation of competition law and the proposals could not be refused in the context of the public tender. 65 Press release 8/2017 of 5 June 2017, available at www.concorrencia.pt/vEN/News_Events/Comunicados/Pages/PressRelease_201708.aspx?lst=1&Cat=2017. 66 Speech by Maria João Melícias, a member of the board of the PCA: 'What's hot under the Iberian sun', Women@Competition Iberia, cit. 67 id. at page 4.